If you’re over 50 and have managed to avoid taking a statin drug, I’d like to shake your hand. Clearly, you’re a tough cookie. Because once you pass your 40th birthday, the strong-arming starts. Oh, it’s usually mild at first. But with each passing year, the pressure goes up. And it gets tougher and tougher to say no to statins. So if you’ve sailed past 50 and are still holding strong, you have an iron will. And in just a few moments I’m about to reward that willpower will some news about a potent little berry from India called Indian gooseberry that’s a TRUE heart hero. But first, let’s take a closer look at those statins. Now you and I both know you aren’t avoiding statins because you don’t care about your heart health. You are JUST as concerned about unhealthy cholesterol as the next guy or gal. But we also know that statins are one of the biggest scams mainstream medicine has ever pulled on unsuspecting Americans. As I’ve explained before, statins come with a disturbing list of potential side effects. In fact, some of them are so serious it’s a case of the “cure” being worse than the disease. And then there’s the granddaddy of all the side effects… a soaring risk for diabetes. But it gets worse. Because while statins do work… sometimes even sending cholesterol levels TOO low… they don’t address one of the most critical factors in maintaining healthy cholesterol. Statins ignore one of the BIGGEST threats to your heart health, dense oxidized LDL particles. And in fact, in over three dozen trials these drugs which only address LDL didn’t affect mortality. Statin users didn’t live any longer. In other words, statins pile on the side effects, but only get part of the job done. 12 weeks to “perfect” cholesterol?!? As you may know, when we talk about cholesterol it’s not just one figure we’re looking at. Your “lipid panel” includes several different types of cholesterol you need to keep an eye on. So an ideal cholesterol solution would not only be natural and side-effect free. It would ALSO address all the parts of your cholesterol. And it looks like the Indian gooseberry ticks all the boxes. For the new double-blind, placebo-controlled study volunteers were divided into two groups. Group one took a 500 mg Indian gooseberry or alma supplement twice a day. And group two got a look-alike placebo. Both groups were encouraged to eat a healthy diet and keep up their exercise routine over the 12-week study. Now, remember I said an ideal solution would address all the aspects of your cholesterol. Well by the end of the trial Indian gooseberry managed to do JUST that. 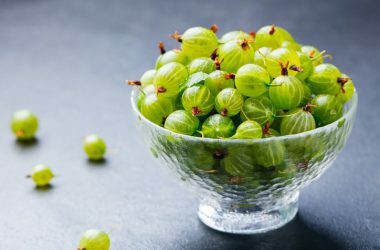 The Indian gooseberry takers also had a 39 percent drop in their “atherogenic index,” an important heart disease predictor. And their HDL levels stayed right where you want them, in the healthy zone. Unlike statins, which can rob you of critical enzymes, Indian gooseberry didn’t touch CoQ10 levels either. Your body uses CoQ10 to stabilize your good-cholesterol. Plus, it helps reduce the damage oxidized LDL does to the walls of your blood vessels. And it can even help reduce amyloid plaque buildup, which research has found impairs blood vessel function. Oh, and I have a confession. Earlier I implied Indian gooseberry is free from significant side effects. But that’s not entirely true. Because there’s some evidence that the berry could help lower fasting blood sugars, too. If you’re looking for a natural, statin-free way to help manage ALL aspects of your cholesterol you might want to consider giving Indian gooseberry a try.